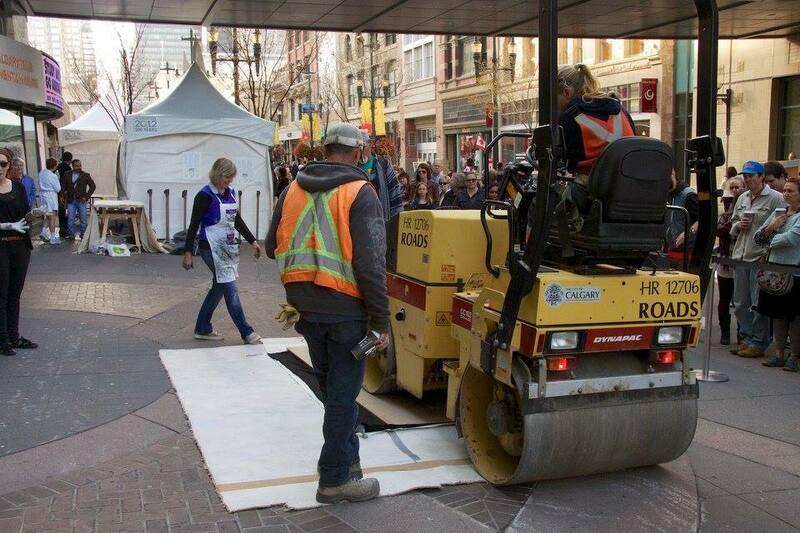 “Print It Large!” – Alberta Printmakers stage Calgary’s first Steamroller Print Project! In September, as part of Alberta Printmakers annual Print It Yourself Festival, this event was intended to get students, artists and the community to come together in a cooperative and collaborative event to celebrate culture. During the month prior to the Festival, seven local artists, including Lynchpin featured artist Eveline Koljin, with Scott Baird and Ashley Slemming, Alison Frank, and a collaborative group of three artists called Ink Smashed Artists, carved large 4×8 ft scale relief woodcut printing blocks, using traditional hand tools as well as electric carvers, saws and routers. On the day of “Print It Large!” the woodblocks were printed in an unconventional way using a construction steamroller! 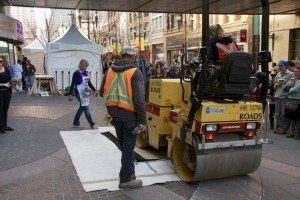 Steam Roller Projects like this have been executed in Edmonton with Society of Northern Alberta Print-Artists (SNAP), Vancouver with the Vancouver Island University and the BIG PRINT PROJECT on Granville Island, Vancouver. This was the first in Calgary. 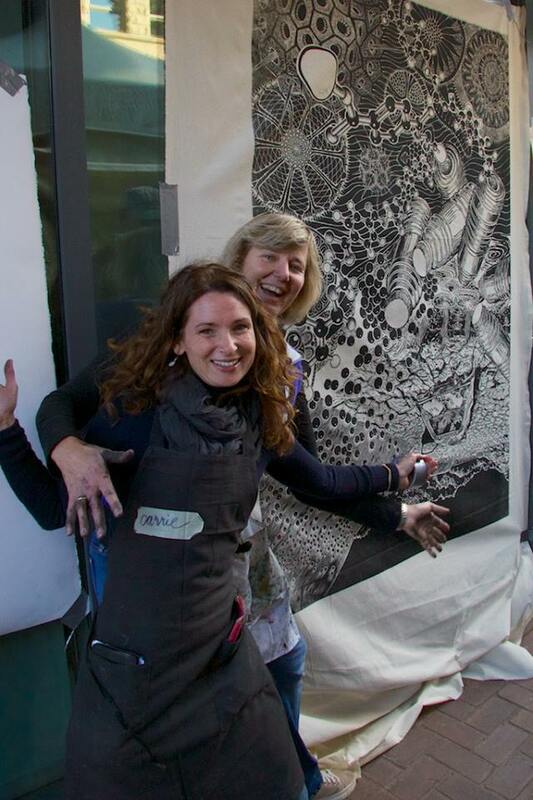 Hobart print makers – here’s the challenge! 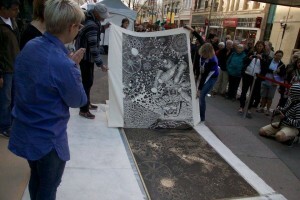 It is exciting to be part of this group of seven artists and volunteers that will publicly ink and print their oversized woodcuts with the assistance of a steamroller driving over the inked boards for pressure! None of us have done this before, so join us and discover how these prints will work out!